You’re probably familiar with Danielle Guenther, a US-based family photographer that captures the realities of parenting through her hilarious photography. Now the photographer is turning her attention to maternity shots, but not like the ones we’re used to. No soft focus or artistic makeup. No sunsets highlighting the background. No silk sheets draped over a pregnant belly. And certainly no beach shots. This, mums and dads, is what being pregnant really looks like. Danielle’s latest series, which she is calling What the Bump?! 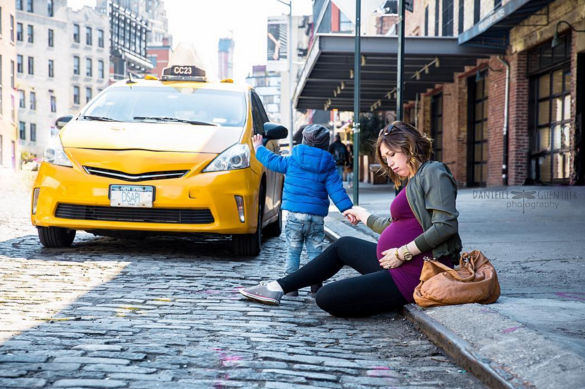 delves deep into the realm of real-life maternity shots. Shopping trips with the kids, attempting business meetings with morning sickness and performing poses to bring on labour are only some of the situations she stages in her ongoing series. After her successful Best Case Scenario series, Danielle told TODAY that she is looking to rewind a bit and return to the wonderful world of pregnancy. 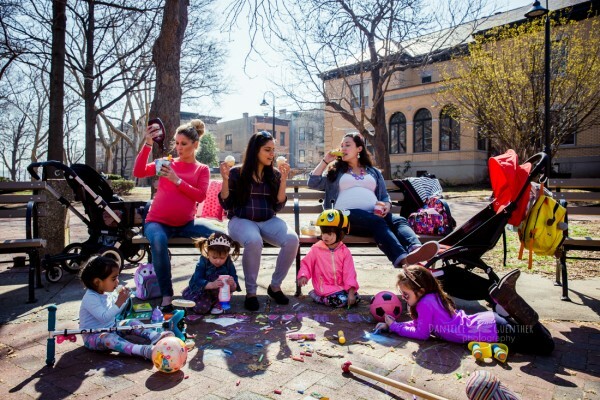 In addition to morning sickness, shopping trips and yoga poses, Danielle also combines the chaos of parenting toddlers with pregnancy cravings in her photo titled ‘Priorities’. She also touches on the joys of transport with ‘It’s Go Time’ (below). As Danielle explains, the series is not just for first-time mums, but for all pregnant mummas out there. There are six images in the series so far with more to come as soon as some of Danielle’s models pop a little more. Follow Danielle on Instagram to see more of her brilliant real-life parenting moments.